High-quality arrows at an amazing price! Custom Arrow Cutting available. Check the “Customize It” box and follow the instructions to have Arrows cut to your desired length. This item can be customized. For custom Arrow Cutting follow the steps below. 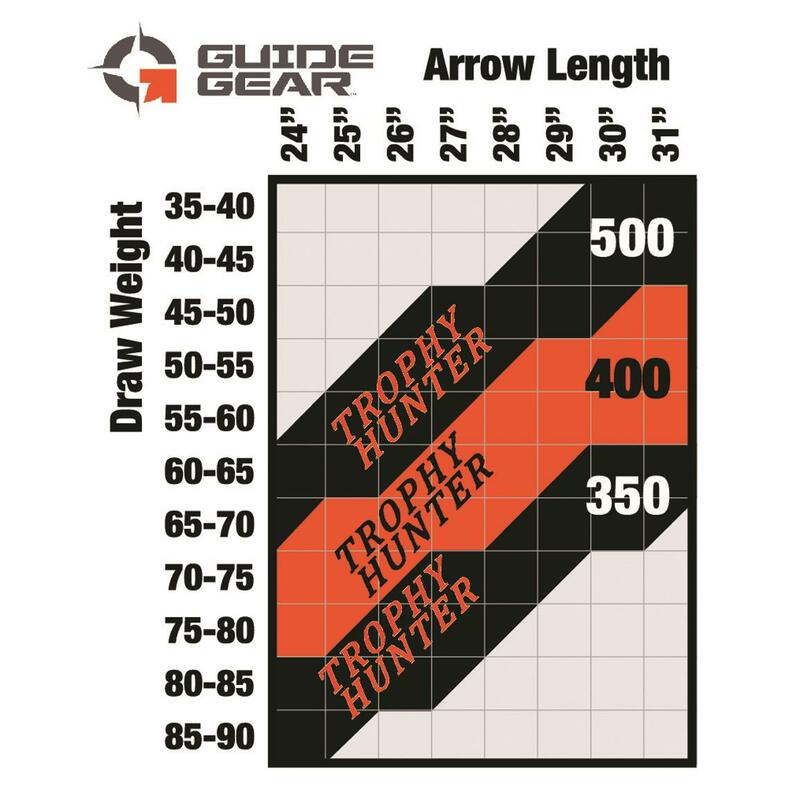 When it comes to quality arrows at a great price, there's no better option than Guide Gear® Trophy Hunter Arrows By Victory Archery. Each Arrow is made from 100% standard modulus carbon and comes equipped with 2" Bohning Blazer vanes and a Bohning Double-Lock Blazer nock. Includes 12 arrows and inserts, with your choice of 350, 400 or 500 spine. NOTE: Custom Arrow Cutting available. Check the “Customize It” box and follow the instructions to have Arrows cut to your desired length. 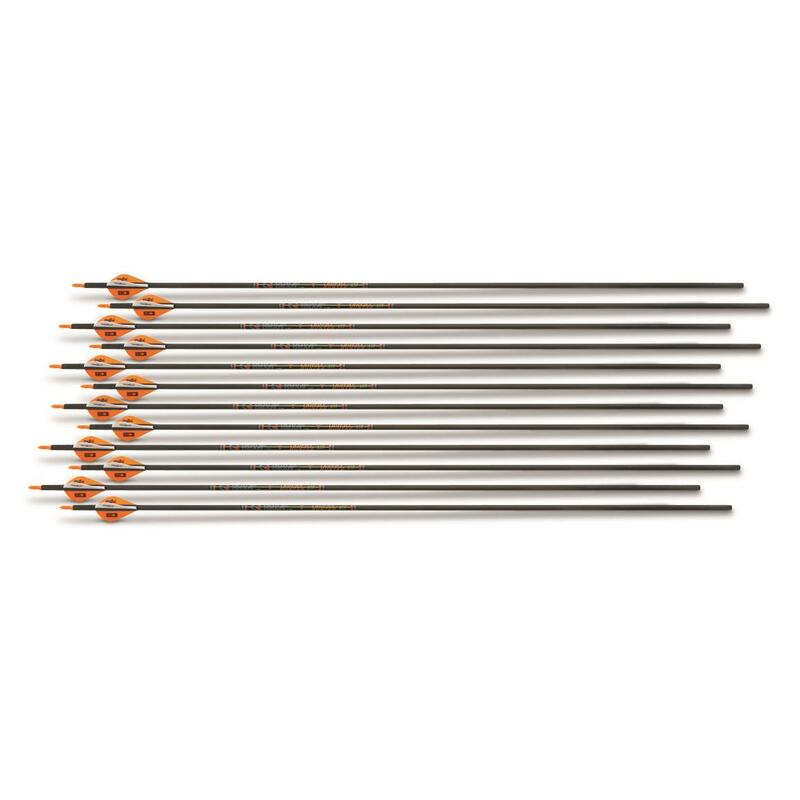 Guide Gear Trophy Hunter 12 Pack Arrows by Victory Archery, 12 Pack is rated 4.6 out of 5 by 206. Rated 5 out of 5 by Pstrbn from Tremendous Value!!! This is my second purchase of these arrows. When I shoot next to my buddies with MUCH more expensive arrows the only difference in accuracy is the shooter. If I do my part these babies fly true. I have shopped hard for arrows and I haven't found arrows from a major manufacture with these specks at this price. Only wish is for a few color options so my family could tell our arrows apart easier. Rated 5 out of 5 by Bucky V from Performed flawless! I purchased these arrows 2 weeks ago and after sighting them in, I was impressed with the accuracy on the range. They fly true and tight. Last night I went out and tested them in the woods and came home with a buck and a doe! 22 yard and 28 yard shot with perfect "watch em drop" results! Love them and I will be ordering more. Thank you SG! Rated 5 out of 5 by NYdeerhunter from Excellent arrow at an excellent price These group right with my GoldTips which cost more than twice as much. No issues at all. 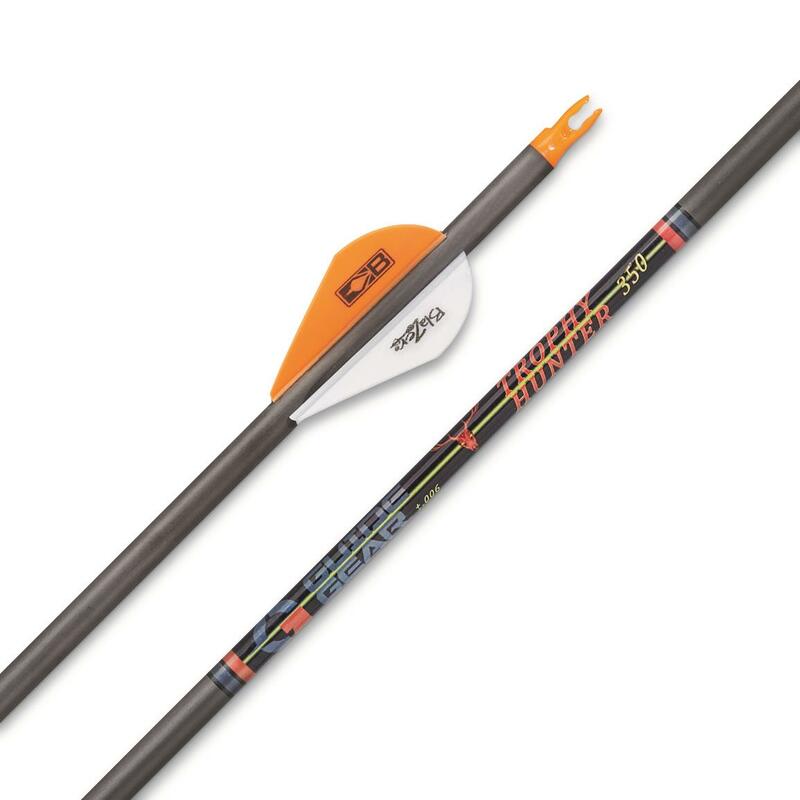 Rated 5 out of 5 by hoot101 from Good arrows better price I ordered a dozen of the victory arrows about two years ago and they held up fine so when I saw them on clearance for sixteen dollars less I ordered another set. I shoot a 40 # take down bow the arrows work very well at this weight. Shoot straight and hit hard good arrows better price.